As Taoiseach Enda Kenny finally bids adieu to the highest political office in the land, here is everything you need to know about how the day will unfold. 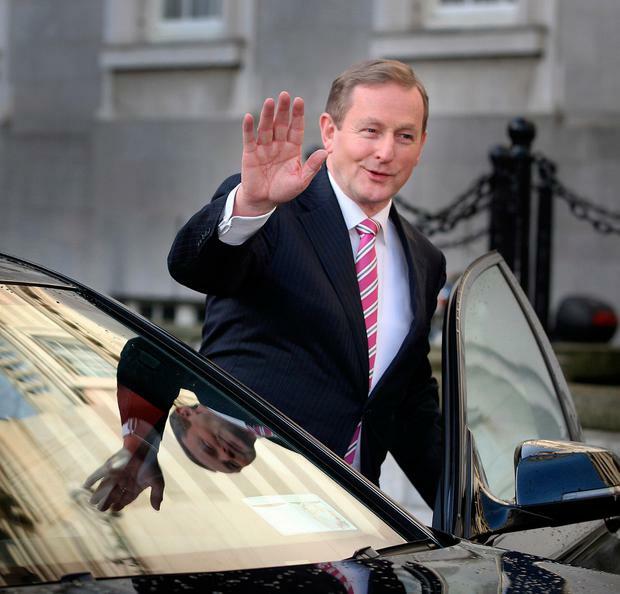 Taoiseach Enda Kenny aims to keep things short and sweet when he formally and finally bids adieu to the highest political office in the land just after 2pm today in the chamber of Dáil Éireann. Normal business will be put to one side to allow the Taoiseach to address his fellow TDs briefly and announce that he is going to Áras an Uachtaráin to hand in his resignation to President Higgins. Fellow party leaders will be given an opportunity to speak in reply to Mr Kenny and the Dáil is expected to adjourn until tomorrow at 12 noon. Today at Leinster House will be "farewell Enda day," while tomorrow will be "hail Leo day". One official said it was decided to give due space to both men to "maximise the dignity of the occasion". Much of the final tasks associated with leaving a job have been completed by the Fine Gael leader. Mr Kenny spent much of the early part of yesterday at Government Buildings "clearing his desk and tying up loose ends". Then, just after 3pm, he left the building which has been his home from home for the last six years to host an informal late lunch for his personal staff in Hugo's Restaurant on Merrion Row, just around the corner from their place of work. Since May 17, when he announced his resignation as Fine Gael leader and stated his intention to stand down as Taoiseach, there has been a steady stream of well-wishers calling to his offices to bid farewell. Last Thursday night at the Farmleigh state guest house in the Phoenix Park there was a special government dinner and presentation from all the Cabinet members to Mr Kenny and also to outgoing Finance Minister Michael Noonan. Then on Friday night there was what was described as "an informal shindig" in Government Buildings for family and friends of Mr Kenny which went on until a late hour. "There have been many goodbyes and many heartfelt tributes," one official noted. When Taoiseach Bertie Ahern stepped down in May 2008 there was fresh controversy about spending on a specially refurbished office for him in a building close to Leinster House. Mr Kenny has clearly foreseen that problem and made it clear that he wants office space on the same corridor as the other Fine Gael backbenchers. 'He would like to remain close to the political action," one source said. Custom and practice has been at Leinster House that former Taoisigh are automatically given "a pair" to avoid them having to attend for every vote. That is seen as respect for the office of Taoiseach - but there have been doubts expressed about the practicality of this under current circumstances with a minority coalition. Mr Kenny is not expected to stand in the next election. He is now aged 66, and has been a TD for Mayo since November 1975. Fine Gael officials argue that he is the first Taoiseach since Seán Lemass stood down in November 1966 to leave office at a time entirely of his choosing. His future role in Leo Varadkar's administration has not been made clear yet.